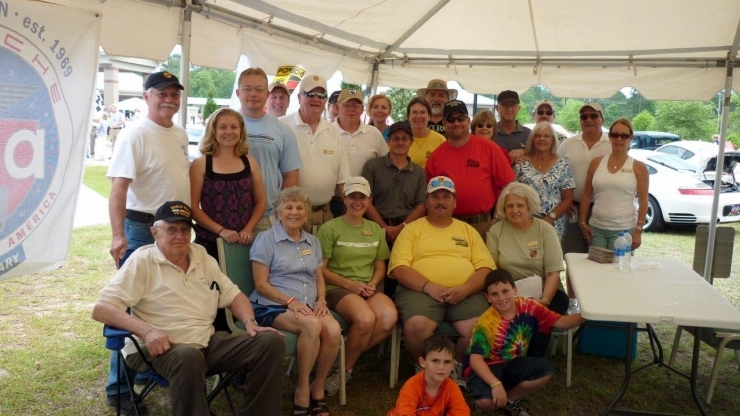 This year's Veterans Victory House Car Show will be on Saturday May 8th. Everyone is encouraged to attend as this is a charity event for the Veterans of the Victory House nursing home. The Veterans show is an awesome event. All proceeds go directly to the Veterans at the Nursing home. The funds purchase items the Veterans need/want that budgeted funds will not purchase. In the past this show has provided them with TV’s, computers, Wii’s, books and various recreational activities items, book shelves and even helped to purchase a transportation van. This is one of the events these men and women look forward to every year. It is participation voting (Top 50) and the Veterans pick a car too. There are food vendors, music, door prizes and a 50/50 raﬄe. We want to win the Trophy again this year! So wash that Porsche (this is not a Concours d’Elegance event) and get it out there. As in the past Ken and I will have a tent set up for you to relax under with your fellow Porsche owners and mingle with our Corvette friends. 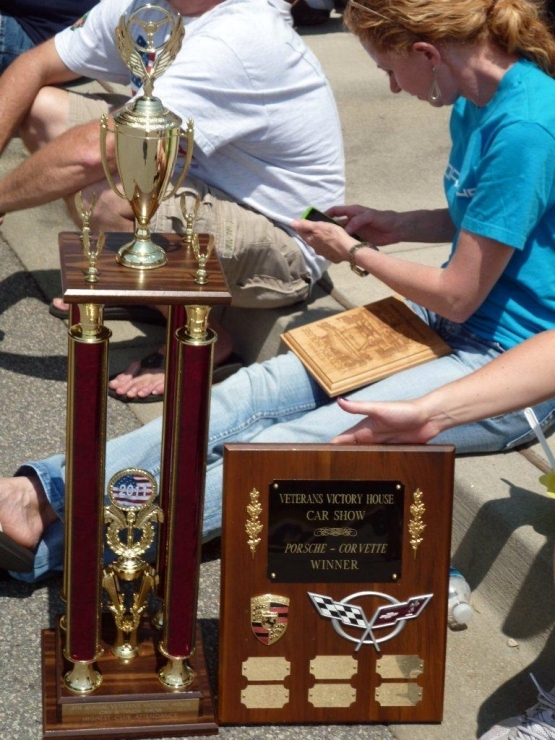 Last year we barely squeaked out the win with 20 Porsche to 18 Corvettes. We’ll have our 4 there!